They are sturdy. Tough plastic. Not as tough as Rubbermaid (but Rubbermaid doesn’t have see-through containers, except for their food ones) but tough enough. I wouldn’t go throwing them down the stairs, however! But my 3 and 1 year olds have climbed up on them, jumped on them and yes, they have been pushed down the stairs before. They stack nicely. I really like this. I still have different types of storage containers and it’s hard to stack all of them on top of each other because they aren’t the same size or type. So I’m slowly transferring everything over to these containers. The lids are designed to be stacked and that makes them hard to fall over, too. The handles are great. I love that the handles are built into the box and not the lid; the handles fold up around the lid and not down around the box. This is wonderful because with other storage containers, time and time again when I’ve picked up the “other” kinds of containers, the lids have popped off and I’ve almost dropped them. Not good. They’re NOT cardboard. Don’t even get me started on this topic. This will be another post for another time because I will definitely be on my soap box about this one. Let’s just say we’ve had a rough past (me and cardboard). If you haven’t tried these containers, give them a try. They come in many different sizes. I buy mine at Target. The brand name is Sterilite. 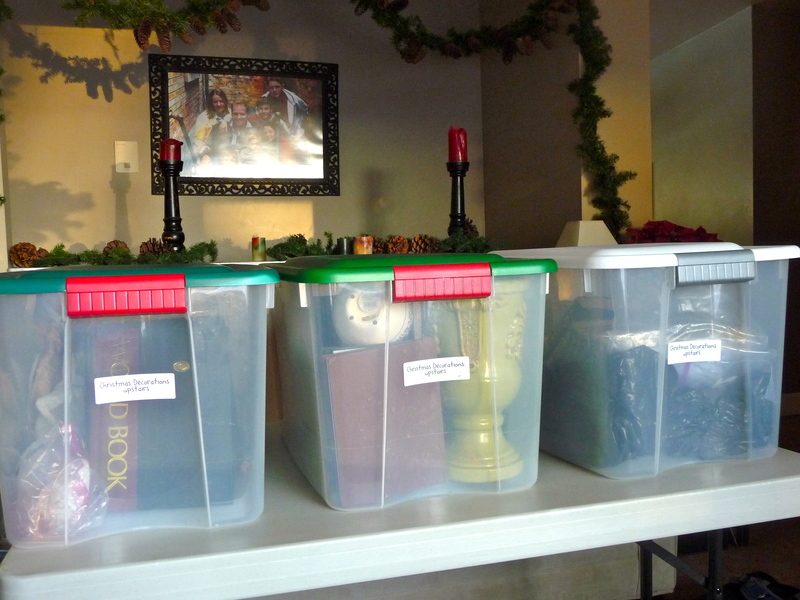 This entry was posted in Holidays, Organizing and tagged cardboard, Christmas, Christmas box, container, decorations, storage. Bookmark the permalink. love sterilite! Sterilite has changed my life! Mine, too! I use them for all sorts of things.